I asked my wife if she could get a day off so we can go to San Diego and watch the Dodgers. I'm sure her students were very upset to see a substitute teacher. Weird game time at 3:35pm. We left the house at 7am and arrived around 9am. 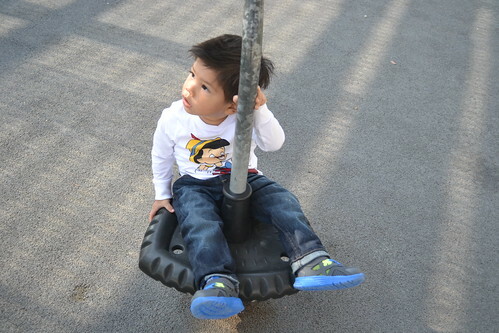 Spent some time at Children's Park by Harbor Drive. 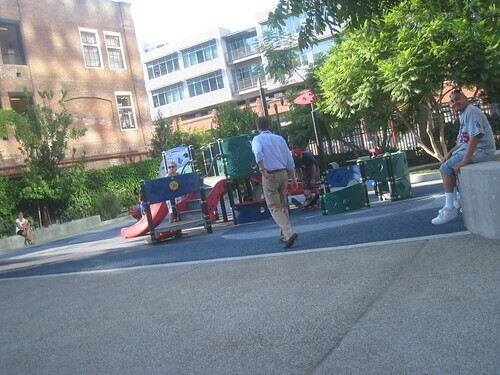 Great area for kids. Little Pinocchio had fun. The only autograph I got. I'm not kidding. 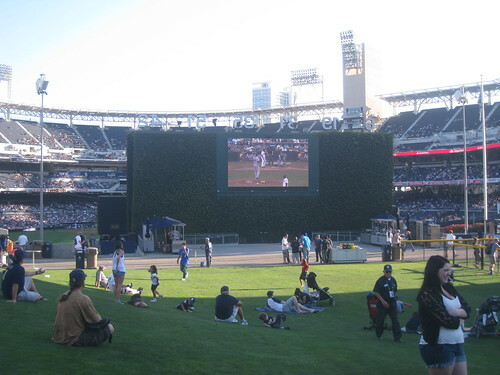 We got inside Petco Park 5 minutes before the first pitch. 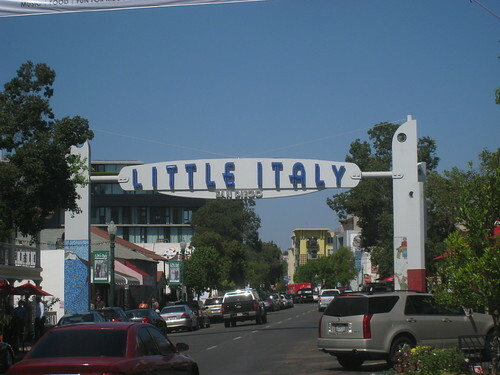 We spent the morning/afternoon at Gaslamp Quarter and Little Italy. There was no time for autographs. Plus my son is too little for that. I can't wait till he's older so I can teach him about collecting autographs. But at this moment, he just wants to run around. 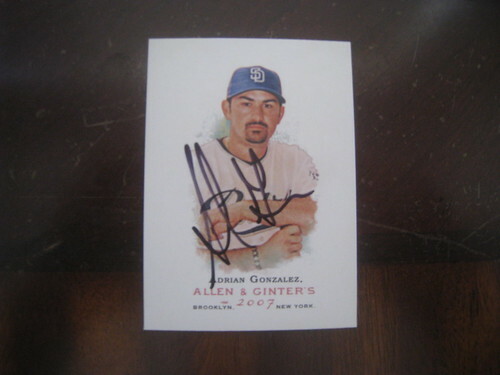 I did see a few Dodgers having breakfast at different restaurants in Gaslamp. There is no way I was going to bother them. 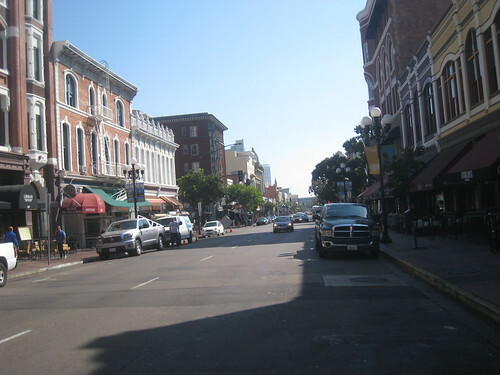 Gaslamp. Nobody was here. It's Wednesday! 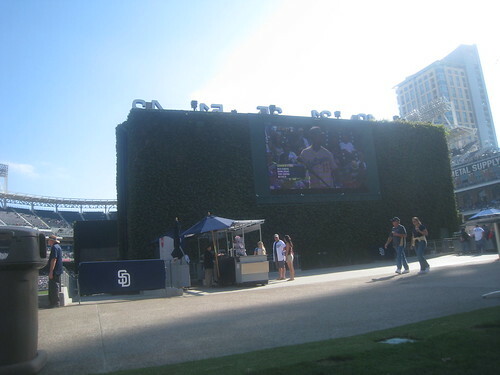 Parked the car in front of Petco Park and walked all the way to Little Italy. So much fun. Who does that in L.A.? 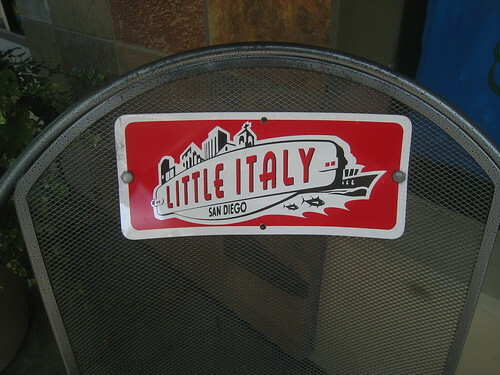 They have these seats all over Little Italy. We wanted Pizza for lunch. Not sure where to eat since they have many Pizza places here. 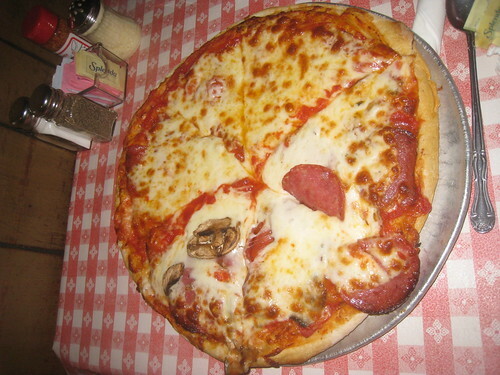 We decided to eat at Filippi's Pizza Grotto. We walked inside and was confused. 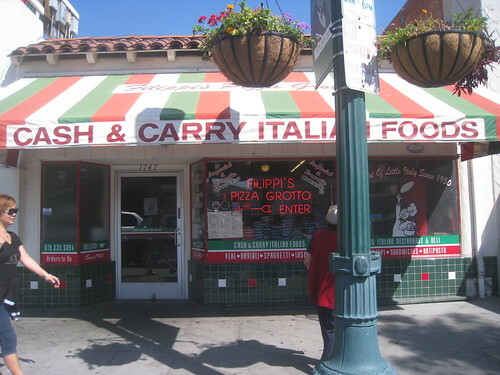 All I see is a Italian market. Someone tells me "Restaurant is in the back". Very nice. We were seated way in the back. Kinda romantic if you ask me. 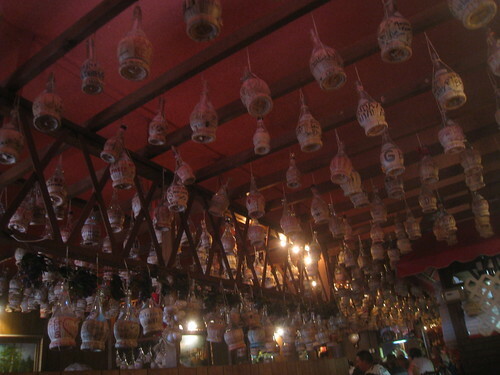 They have a bunch of wine glasses up in the ceiling. 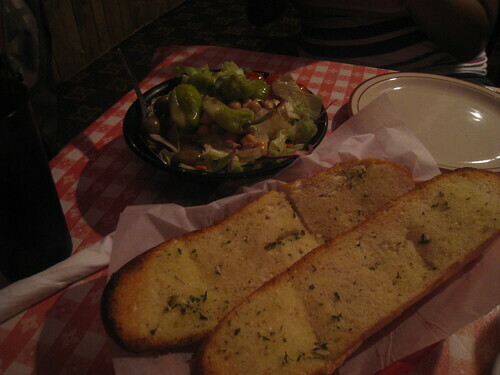 The garlic bread and salad was so good. The Pizza was alright. I've had better Pizza to be honest. Time to head back. 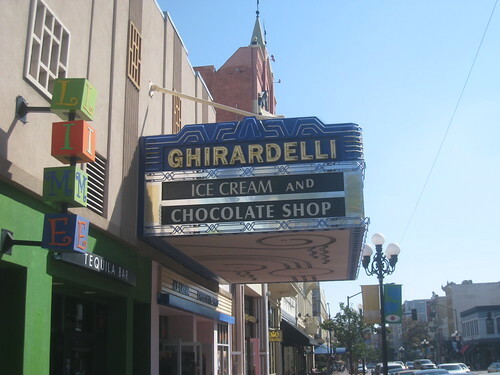 We stopped at Ghirardelli. We bought park passes. I know that if I buy park passes I won't be watching the game. But I didn't care. 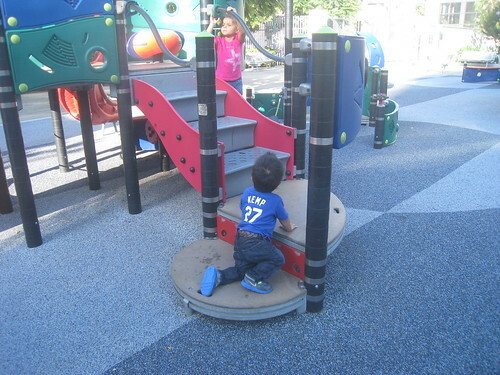 My son will be having more fun at the park than sitting down watching the game. Plus he's always awake from 3 to 7. 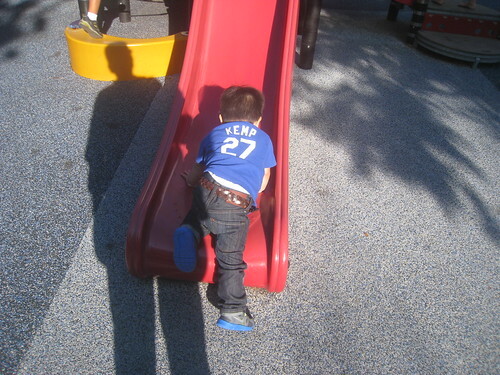 Little Pinocchio became little Matt Kemp. 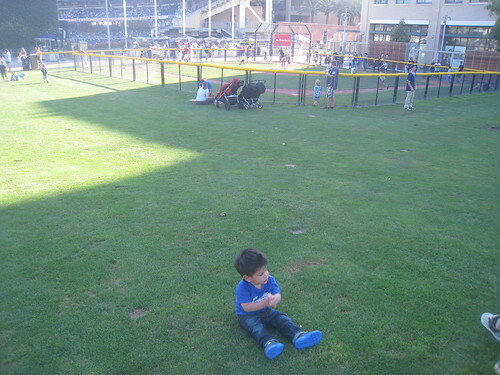 My son can't play baseball just yet. Those kids are too big. So we went here. Who would have thought you would ever see this at a Baseball stadium? 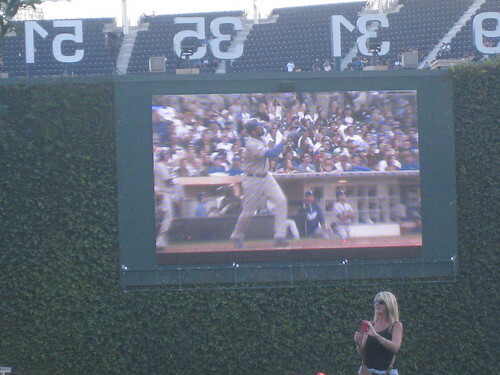 Matt Kemp with a bomb! 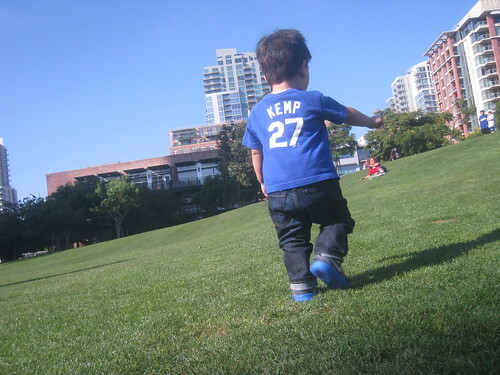 Little Kemp gave him good luck. 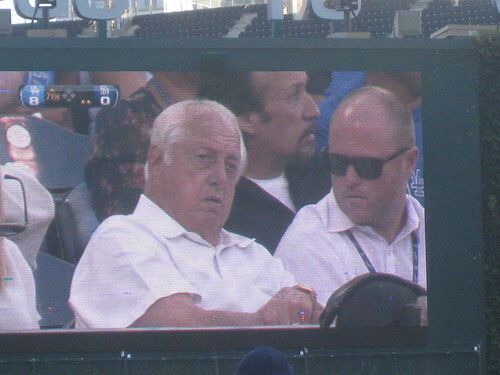 Tommy Lasorda is upset. What's new? Dodgers won! Offense woke up. Where were you in the last 4-6 weeks? 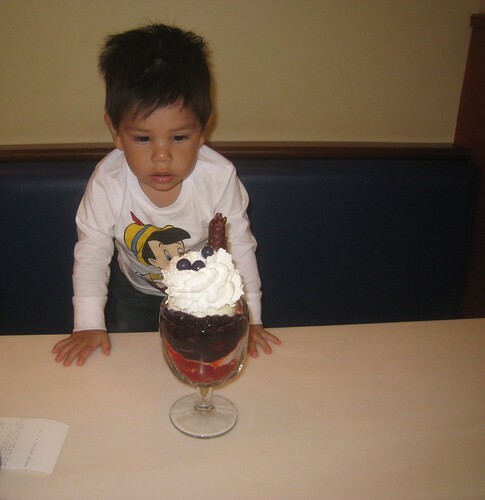 My son had too much fun. It was my turn to have some little fun. Let's go meet Vin Scully! My son doesn't care about this right now but I'm hoping he will appreciate this when he's older. I have to frame this picture. When I spent three weeks in the hospital this past Summer, I told myself that I had to meet Scully again so my son can meet him. I'm really happy. I've never mentioned this before but Scully sent me a email when I was in the hospital telling me to hang in there. I cried when I read that email and didn't even really know if it was Scully. Tom Hoffarth of the Daily News set that up and I will always be grateful for those words. 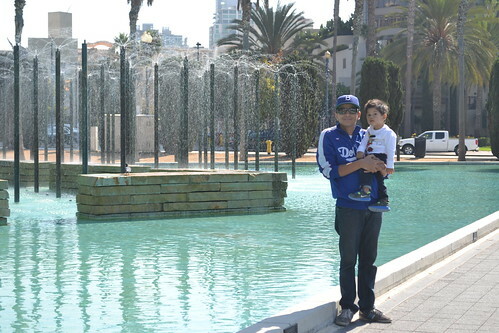 Great day in San Diego. I'd like to thank my wife for putting up with all this and to the few readers that said hello. 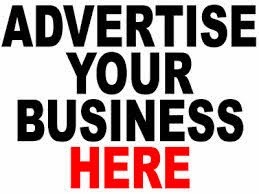 I appreciate all the kind words and I do know that I have many readers. Thank you! What a beautiful post. 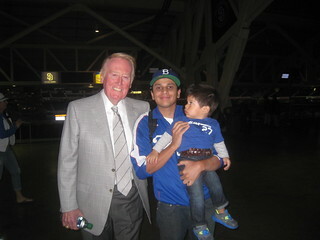 I have read your blog for a long time and i am so happy and jealous that Vin Scully sent you an email. A few years ago you wrote about Vin Scully being a wine fundraiser in Beverly Hills, I went and that was the day I met Vin Scully. Thank you! And congratulations your son will love that picture so much when he grows up! Very nice! Happy for you and your son! What a great day! 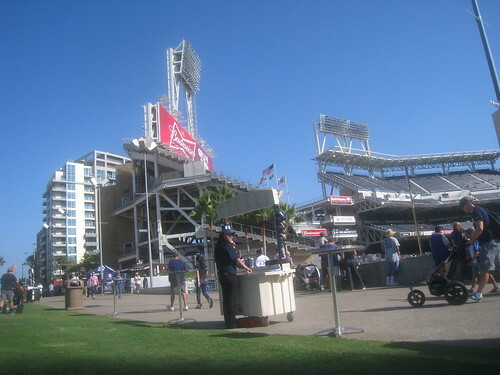 As a Padres fan, I enjoy reading your posts about baseball. Im jealous that you got to meet Scully and in my territory. Glad to hear you are well and best wishes! @ Thoma - Thank you! I was going to ask how you just happened to run into Vin. I guess he already knows you? Since he sent you an e-mail and all? Either way I'm jealous. Nice write-up. very nice roberto. 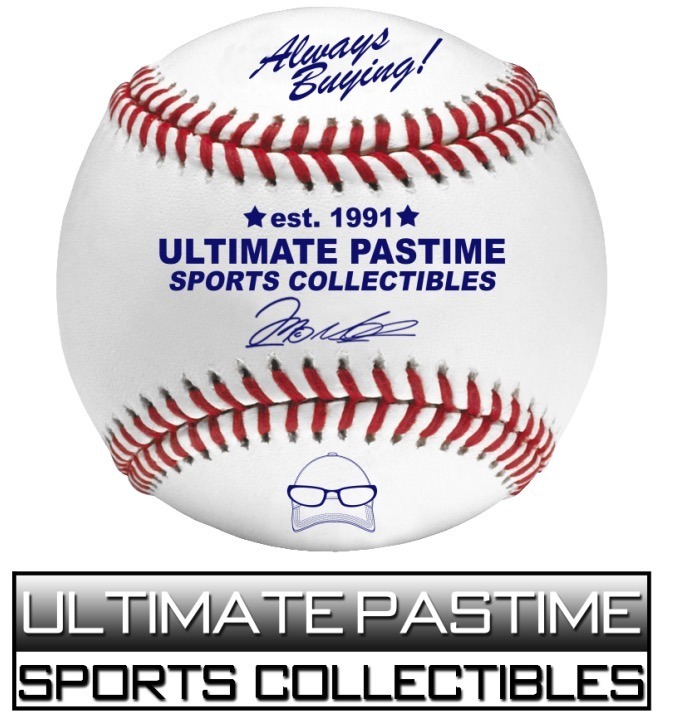 i can tell you from personal experience that it is a great thing when you can share your hobby/passion with your son. just wait - it will be better than you already think it will be. Sounds like the perfect day! 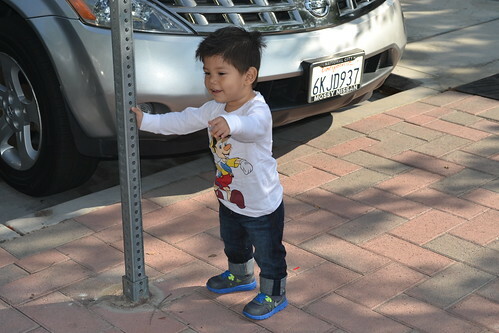 Your son is growing so fast; these days are priceless!